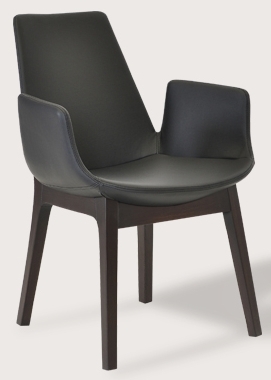 Eiffel Wood Armchair and Side Chair by Soho Concept is an exclusive design with unique sculptured wood base that exudes elegance and class. 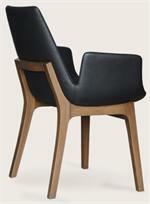 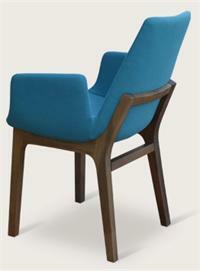 Reminiscent of Danish Wood Retro Chairs of the 50s. 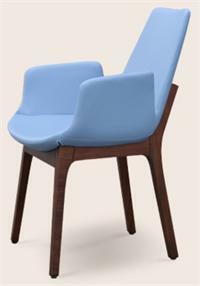 Eiffel Wood Side Chair and Armchairs are great as dining chairs, restaurant chairs, conference room chairs, waiting room chairs, hospitality chairs. 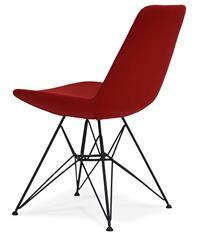 The unique upholstered Eiffel seat is also available on this site with other bases, such as the Eiffel Wire Chair, Eiffel MW Metal Base, Eiffel Cone Chair, Eiffel Office Chair, Eiffel MW Wood Chair, Eiffel Piston Swivel Stool, Eiffel Star Chair, Eiffel Tower Chair, Eiffel Wire Barstool, Eiffel Chair Round, Eiffel MW Barstools and Counter Stools. Soho Concept reinterprets the mid-century furniture designs of the Case Study House program (1945-66) which was an exceptional, innovative event in the history of American architecture. The program's chief motivating force was Arts & Architecture editor John Entenza, a champion of modernism who had all the right connections to attract some of architecture's greatest talents, such as Richard Neutra, George Nelson, Charles Eames, and Eero Saarinen. 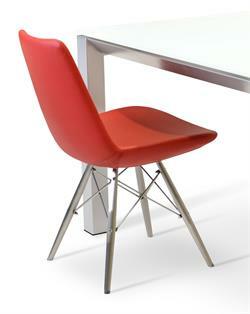 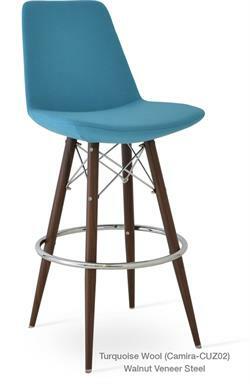 Eiffel Wood Chair seat has a steel structure with S shape springs for extra flexibility and strength. 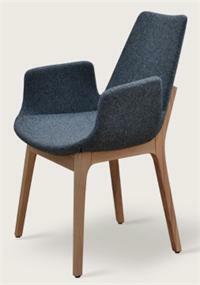 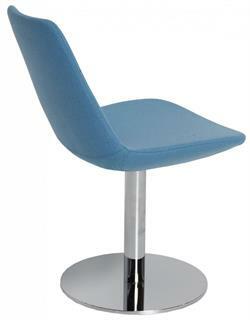 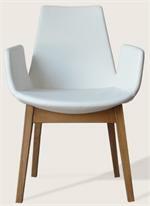 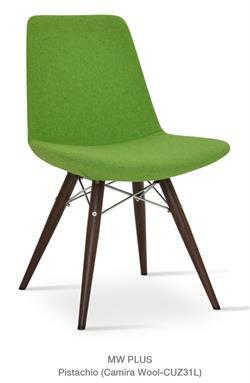 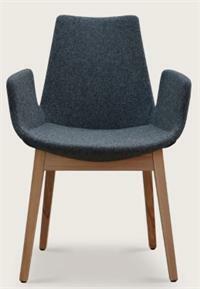 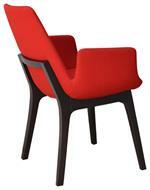 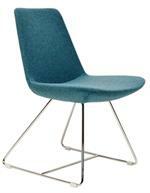 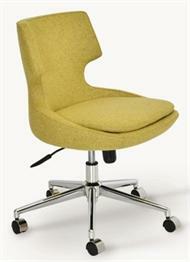 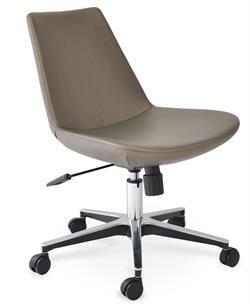 Eiffel Wood seat is upholstered with a removable velcro enclosed leather, PPM or wool fabric slip cover. 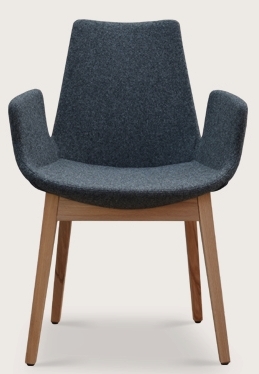 The Eiffel Wood by Soho Concept chair is suitable for both residential and commercial use as a dining chair, restaurant chair, hospitality chair or side chair. Eiffel Wood Armchair by Soho Concept Dimensions: H 32.5" W 21" D 23" Seat H 17"
Eiffel Wood Side Chair by Soho Concept Dimensions: H 32.5" W 19.5" D 23" Seat H 17"
Soho Concept Furniture Lead time: Most items in-stock and ship within 7 days after you order. 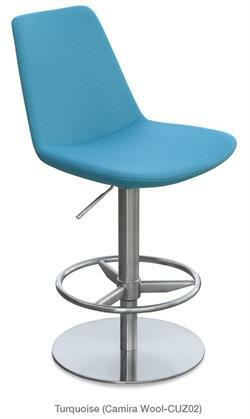 Accurato Furniture Store is an authorized retailer of Soho Concept Furniture products. 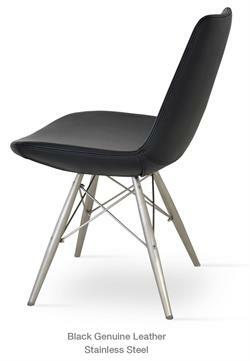 We carry the FULL line of Soho Concept Eiffel Chair series + all other offerings so call or email if you dont see what you are looking for.